Now make your pasta at home! Made of chrome plated steel with nickle plated rollers. 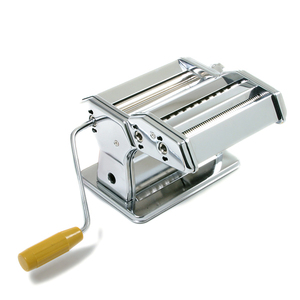 Cuts .06"/1.5mm pasta sheets, vermicelli or .25/6mm fettuccine. Clamp securely holds machine to table or counter top. Instructions included. Hand washing recommended.